In today’s world of digitalization, the best kind of advertising may still be the chitter-chatter that marketers do not pay for. Advertising may be “one of the best” Business Intelligence Solutions in trade but it is certainly not “the best”. In fact, spending a marketing budget on the commercial marketing is the easiest, you just need to make a call to an ad agency and tell them your budget for advertising. They’ll take care of it in no time. But do they really pay-off? Okay! Let’s see it this way.. how many commercial advertisements you come across in your day today life that catches your attention and gets instilled into your mind? Talking about the purchasing decisions, don’t we trust recommendations over the commercial advertisements? While bringing you more close to the customer, Word of Mouth creates buzz, loyalty, trust and a profound relationship. 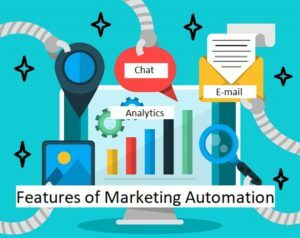 Today, while you invest in technology and automation such as Marketing Automation Software, Lead Management Software Solutions and Sales Management Software to elevate business success, you should also capitalize on the muscle of word-of-mouth. A good word is triggered when a customer experiences something satisfying, far beyond generalization. But, one happy customer steers dozens of new ones your way. Currently, with digitalisation, the word spreads even faster across cities and towns in the world. Happy consumers write reviews, share your social pages, like your products online, comment on your blogs and articles and help you connect with other customers and prospects at a rapid pace over internet. This drift has increasingly made word of mouth more prevalent and long-lasting. 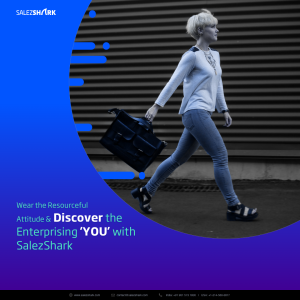 At Salezshark, we strongly believe in the power of a good word and to ensure this, we diligently follow the practice to provide our customers a streamlined and valuable experience. So, as we provide the finest technological tools and solutions, we also ensure to implement the best strategies and tactics to accelerate and enhance their experience. Over the years, we have been competing against many big-size companies and the strongest reason driving our elevated success in the market has been word of mouth. We continuously receive many new customers in business largely because of our happy customers who spread a positive and good word of mouth in the market. I’d love to hear what you think about the word of mouth and commercial advertisements. Do you yourself pay attention to the commercials? Would you choose TV advertising for your product/service and why?